Canelo Alvarez scored the biggest win of his career, and in doing so he may have set himself up for an even bigger challenge. Alvarez’s unanimous decision victory over Miguel Cotto made him the new lineal middleweight champion — the man who beat the man who beat the man, and so on — but that doesn’t automatically make him the best at 160 pounds. That honor can only come if and when Alvarez goes on to face and beat Gennady Golovkin, the power-punching titleholder who has knocked out 21 straight opponents, who has been avoided by too many of the top names in his division, and who was watching from ringside with great interest. That’s because Golovkin’s team is wisely opting to use the politics of this sport for leverage, forcing the winner of Cotto vs. Alvarez either to face him or give up his world title belt, which would then belong to Golovkin. It remains to be seen whether Alvarez will move promptly toward a clash with Golovkin. That’s because it also remains to be seen whether Alvarez is prepared to move up and fight against natural middleweights. Cotto vs. Alvarez was actually contested at an agreed-upon weight limit of 155 pounds. Alvarez has come in no heavier than that for his past four fights now. He appears to add a significant amount of weight to that number by fight night. That helped him against the naturally smaller Cotto. 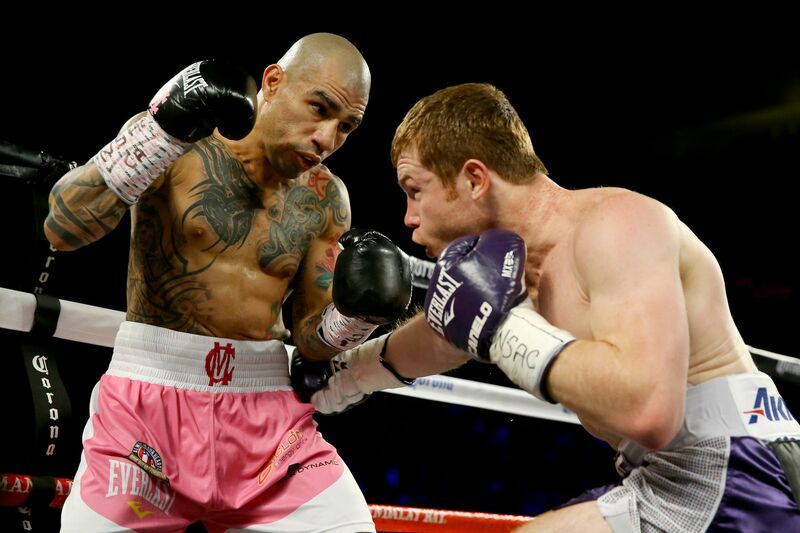 Cotto tried to use movement to trouble Canelo. He would circle in one direction, then another, attempting to force Alvarez to reset before throwing punches. Cotto also would come in with combinations to the body and head, some shots blocked but the rest landing, before moving away. Alvarez took those punches well. Cotto, meanwhile, couldn’t evade Alvarez all night. Alvarez was able to dig to Cotto’s body. He also found success with a chopping right hand when Cotto would approach with his head ducked down, and Alvarez tended to follow that up with a left hook or uppercut. It was a competitive fight, a bout that never became the exciting brawl people desired except for one round in which the trading was more heated. 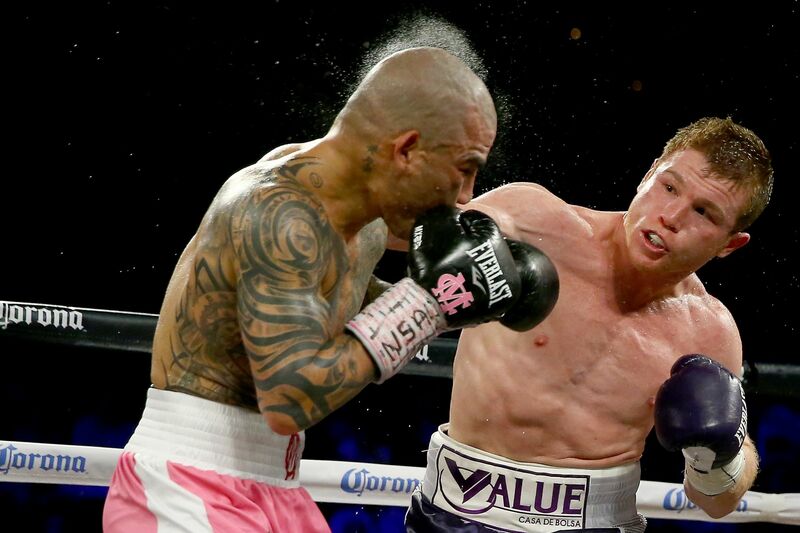 Canelo landed slightly more — an average of two more punches per round than Cotto landed — and clearly with more power. The judges had Canelo winning widely: 117-111 (nine rounds to three), 118-110 (10 rounds to two), and a bizarrely one-sided 119-110 (11 rounds to one). Cotto suffered his first loss since 2012, when he dropped decisions to Floyd Mayweather Jr. and Austin Trout. He didn’t look bad, though it was clear that there was a difference in what he could do against Alvarez and how he was able to perform in his previous three wins, taking out Delvin Rodriguez (who was overmatched and at a lower level), demolishing Sergio Martinez (who was the champion but was otherwise hampered by lingering injuries), and making short work of Daniel Geale (who seemed slowed and weakened by dropping down to a weight Cotto had demanded). Alvarez continues to improve. He’s had 48 pro fights, but he’s also still only 25 years old. He’s used his size to his advantage against smaller foes, yet he wouldn’t be where he is without skill and technique. He’ll need a lot of both if he faces Golovkin. The new middleweight king can only keep his crown if he can keep from being beheaded. 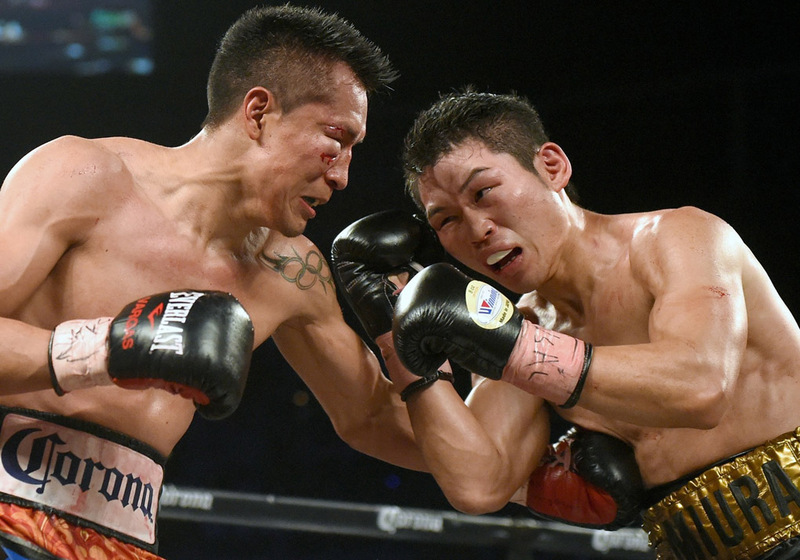 An entertaining battle between Francisco Vargas and Takashi Miura brought multiple swings in momentum. Vargas hurt Miura first. Miura hurt Vargas next. But Vargas hurt Miura last, finishing him in the ninth round for a technical knockout win and capturing a world title in the process. Vargas, an undefeated 130-pound contender who was challenging for Miura’s belt, landed a right hand in the opening round that badly buckled Miura’s knees. Miura didn’t go down, though he remained on the receiving end as Vargas continued to score with regularity. Yet Miura went from being caught cold to warming up, finding more success in the third round and then taking control in the fourth. Miura landed his southpaw left cross, then landed it again and again, injuring Vargas by opening a cut under his right eye and then hurting Vargas with a hard shot that sent him to the mat. Vargas was fortunate that the knockdown came at the end of the round. Miura remained in command for the first two minutes of the fifth, and then Vargas showed for the final minute that he wasn’t done just yet. Vargas wouldn’t fold, though Miura sure tried to make him. It didn’t help Vargas when a clash of heads opened a second cut, this one over his right eye, in the seventh round. The worsening swelling around the eye threatened to compromise his vision even further. Miura had a wounded and potentially weakening foe. He hurt Vargas toward the end of the eighth and hoped to pick up where he left off once the ninth began. The bell rang to begin the round. Then Vargas rang Miura’s bell and soon ended the fight. He landed a left uppercut, then a left hook, then a jab and right-cross combination that hurt Miura. Vargas followed up and put Miura down. Miura rose on very unsteady legs and tried to grab Vargas to stem the assault. Vargas continued to throw, and the referee soon felt that he had seen — and Miura had taken — enough. Miura was ahead on two of the three scorecards at the time. The third had it a draw. That doesn’t matter. Miura’s time as a titleholder has come to an end. Vargas’ time now begins. A rematch wouldn’t be a bad thing. Vargas also could aim for a fight with former 126-pound titleholder Nicholas Walters or even try to convince the other good 130-pound titleholder from Japan, Takashi Uchiyama, to come to the United States and tempt the same fate that befell Miura. 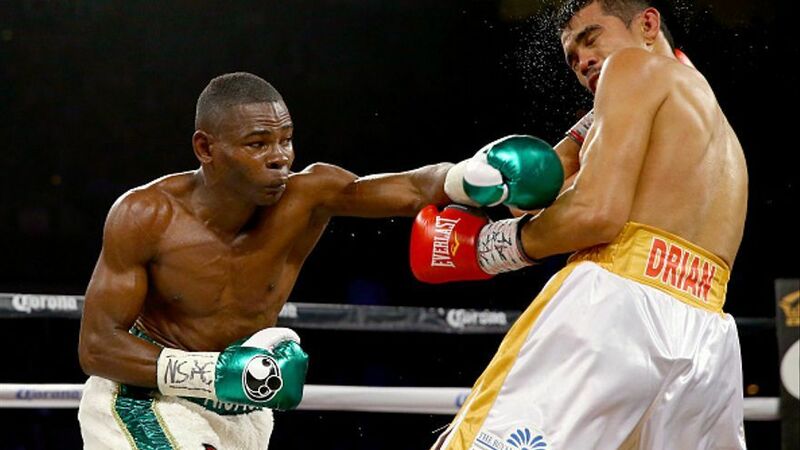 Guillermo Rigondeaux is one of the best boxers in the world and can be one of the worst to watch. That’s why the top 122-pound fighter was off American television for so long, last seen in 2013. And that’s why he needed to put on a good show once he finally made his return, appearing on the undercard of the Miguel Cotto vs. Canelo Alvarez pay-per-view. Unfortunately for us, and possibly for him, Rigondeaux’s unanimous decision victory over Drian Francisco saw him put forth another unnecessarily boring performance. The scores were a 100-90 shutout on two of the cards and 97-93 on the third. The most impressive thing about the fight was that those three judges were apparently able to stay awake. The maddening thing, as always, is that it didn’t need to happen this way. 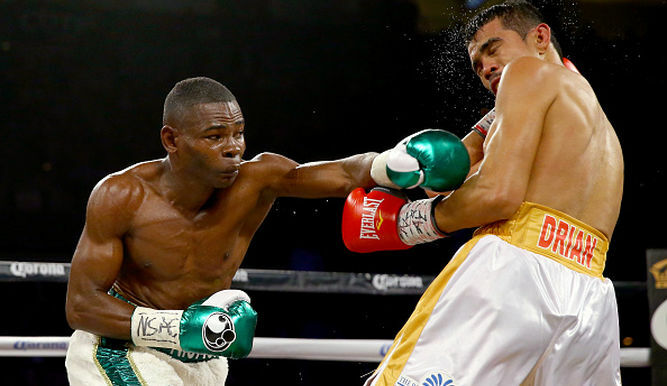 Rigondeaux’s style tends to be minimalist, using movement and defense to shut down his opponents and only throwing enough to win rounds and make his foes think twice about attacking. Yet he can indeed fight differently. He’s made quick work of lesser foes before, and he even was in an entertaining fight late last year after being knocked down twice. Of course, that kind of situation also can serve to convince a boxer like him that his safety-first style is the way to go. It’s not the way to go to win fans over, however, and become marketable enough that networks want to feature him and other fighters want to face him. So it was refreshing to see Rigondeaux come forward in the first round, standing in front of Francisco and landing. He quickly reverted to old form and sucked the air from the arena, making Francisco miss but doing little beyond that. Rigondeaux noted afterward that he was rusty from returning to the ring after nearly 11 months away, while other observers argued that he’d taken this fight on short notice. But Rigondeaux’s return was already being planned for the final months of 2015; he should’ve been in the gym already and probably was. This is just who he is. He’ll need to be someone different if and when he gets another chance. Rigondeaux is fortunate that he recently signed with Jay-Z’s Roc Nation Sports, the same promoter as Miguel Cotto and Andre Ward. He’ll get another chance to make things right and perhaps set up a fight with Vasyl Lomachenko, a 126-pound titleholder who, like Rigondeaux, owns two Olympic gold medals. That could be a fight worth watching. But that fight might only happen if Rigondeaux himself shows that he’s worth seeing.